Arriving via Garuda Indonesia on a separate ticket, I disembarked to terminal 3. 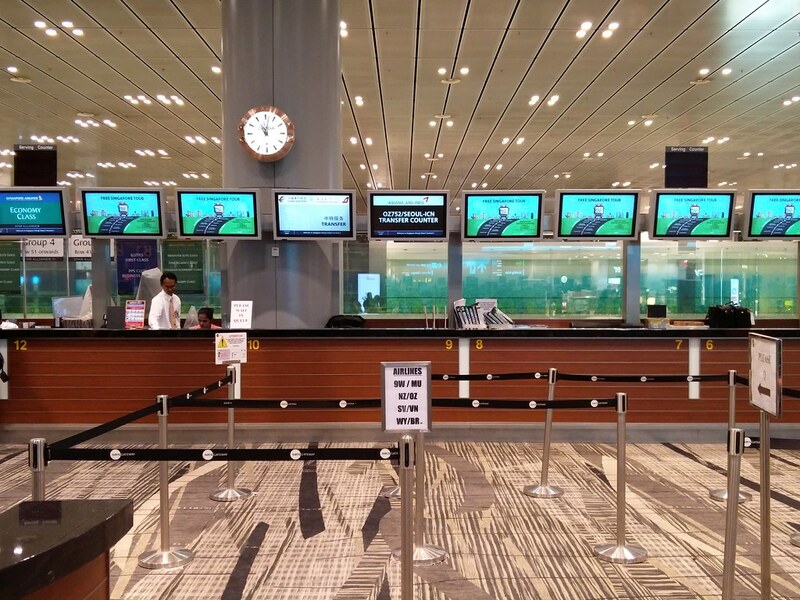 What makes Changi airport great is the common departure and arrival hall, along with the ease of transfer and connecting to another flight on a separate itinerary. 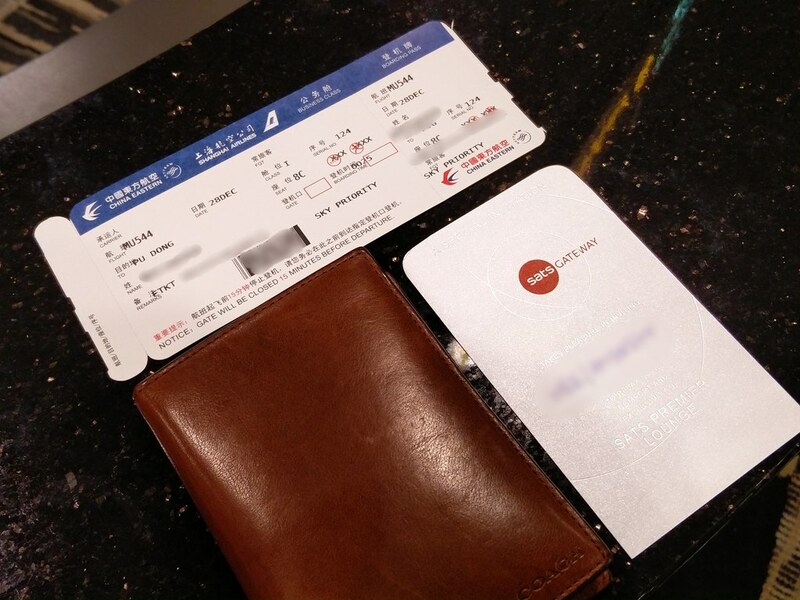 A visit to the transfer counter by showing the agent my connecting ticket and luggage stub, then he was able to make a call for someone to pick my luggage and issue my onward boarding pass. It was just that easy! Well done Changi! China Eastern uses terminal 3 as well for flights to Shanghai and that made it all the more convenient as I was directed to the SATS premier lounge. 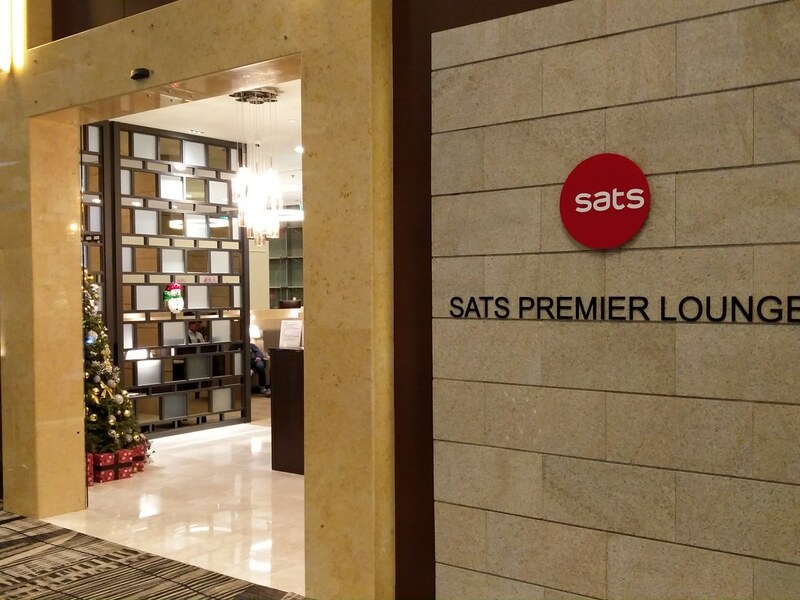 The SATS Premier Lounge is located just beside the Krisflyer Gold Lounge and more readily accessible via the central atrium elevators as it is usually the lounge most passengers pass first on their way to the Krisflyer lounge. 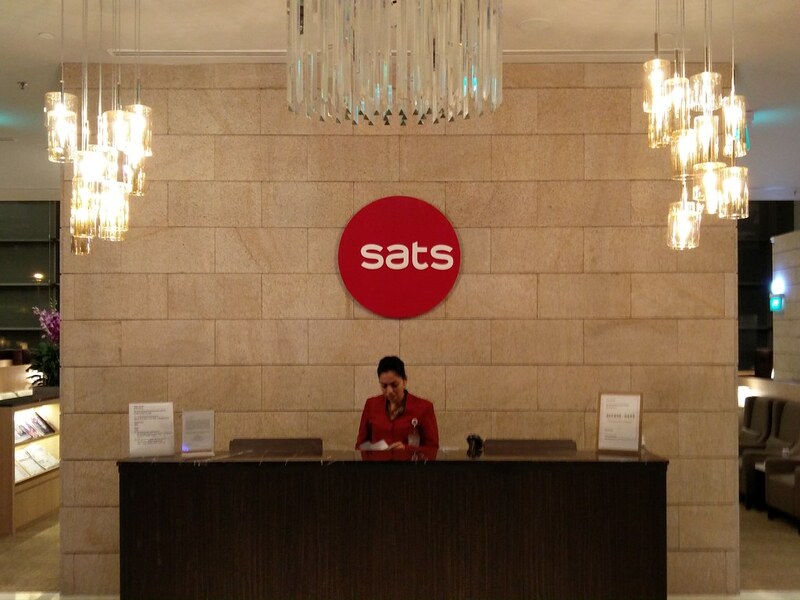 The SATS lounge might not be comparable to Singapore Airlines Krisflyer lounge in terms of amenities or scale, but it was a nice space in itself. Since I already had dinner and had something to eat on my previous flight, I was not hungry. 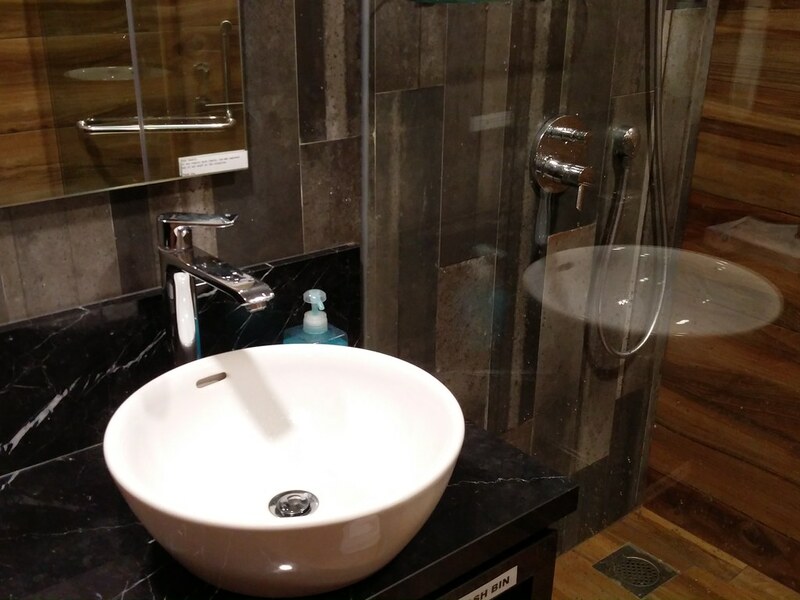 Thus I checked out the shower rooms and washrooms as I freshened up before the flight. There are a couple of shower rooms at the end of the lounge and it was a nice space for a third-party outsourced lounge. 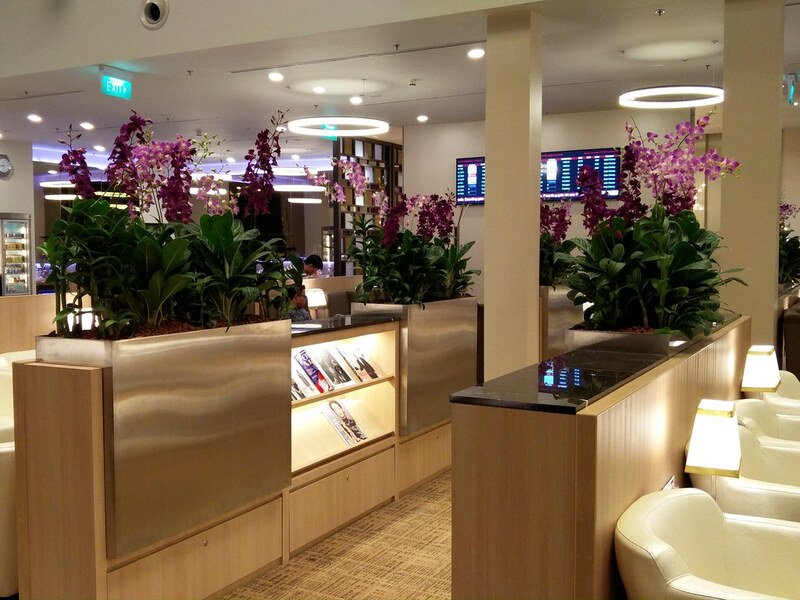 With Terminal 3 being the nicest terminal in Changi Airport, the SATS lounge here feels fresh and new. 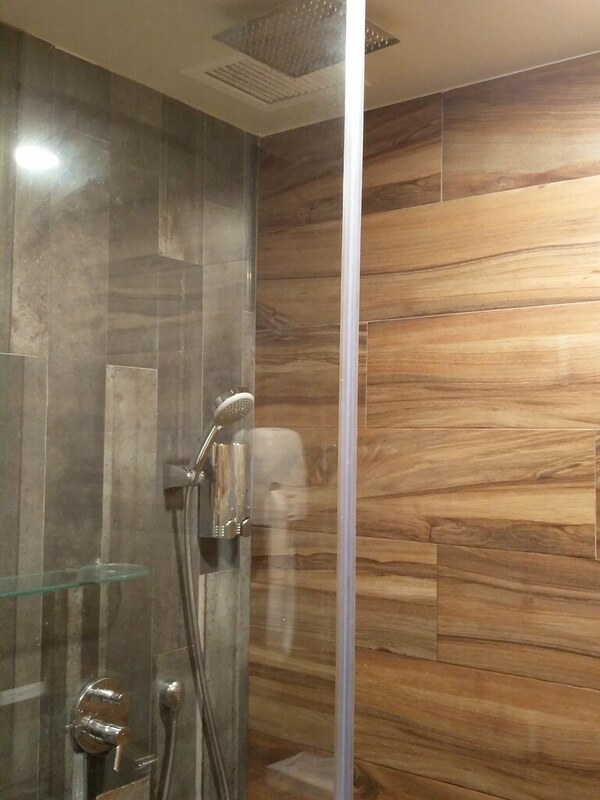 The shower here features both a handheld shower head along with a rainshower, so it was perfect for that quick refreshing shower for weary travellers. 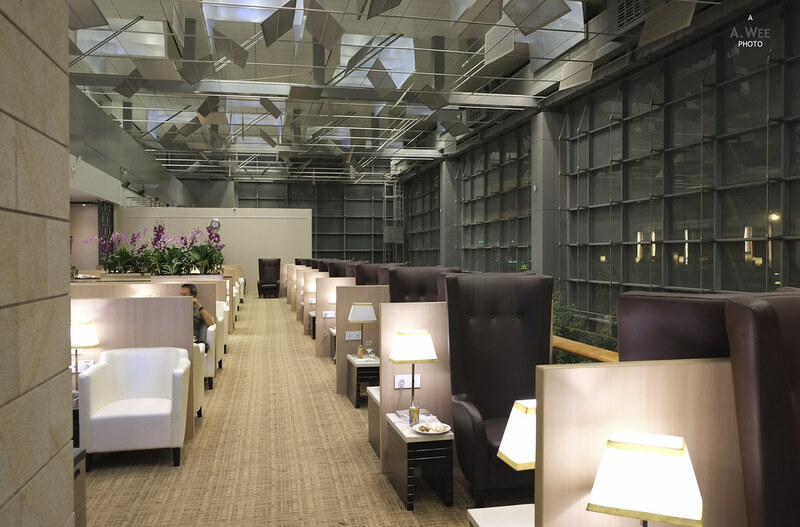 For the lounge itself, there is a row of lone high-back leather armchairs by the partition that overlooks the main terminal. These armchairs are comfortable to lounge in and has good privacy due to the high back. As a note, from the ledge of the lounge, it is possible to see the movement of people around the terminal. 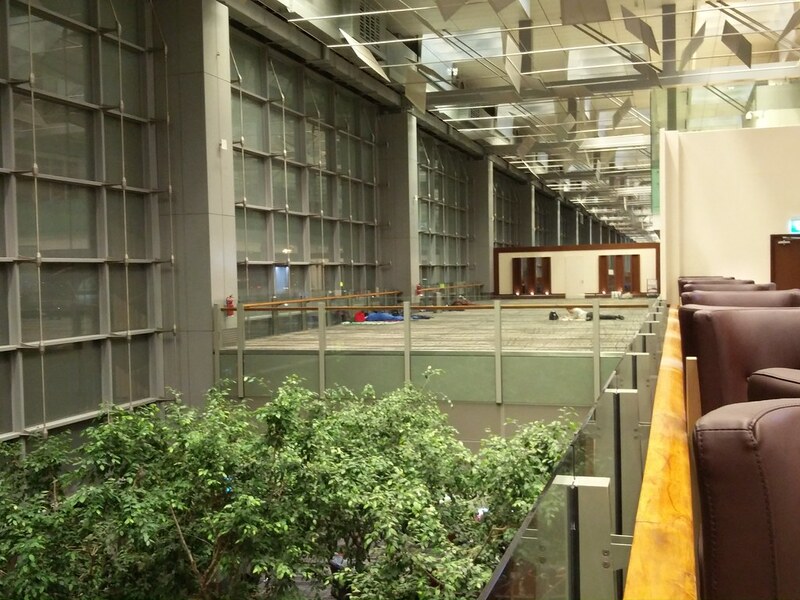 One could also spot the empty space on the same floor where most guests that have long layovers tend to get some sleep at. 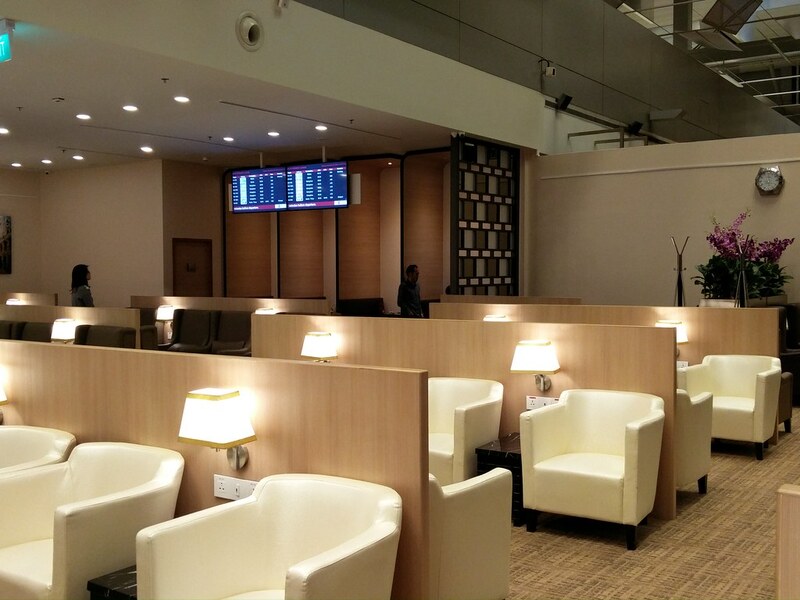 Changi Airport does provide lots of amenities for connecting travellers after all. The main seating area though consists of armchairs that are more conventional for reading and socializing. These seats are also equipped with power outlets for guests seeking to get some work done or just to charge their mobile phones. It was also nice to see the outlets to be adaptable to international plugs. 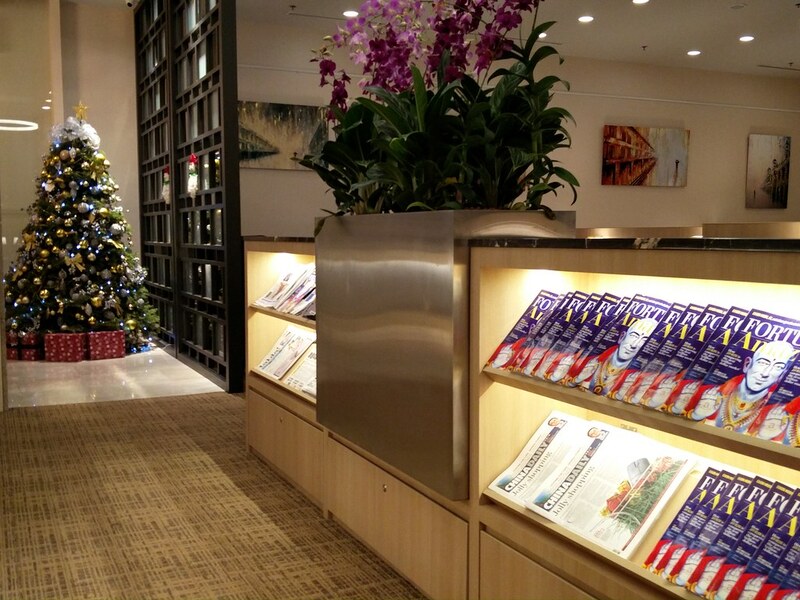 Situated between the rows of armchairs, there are magazine racks that are quite well stocked. Though do not expect something as wide variety here since they are mainly lifestyle magazines as I spotted the Marina Bay Sands magazine here. 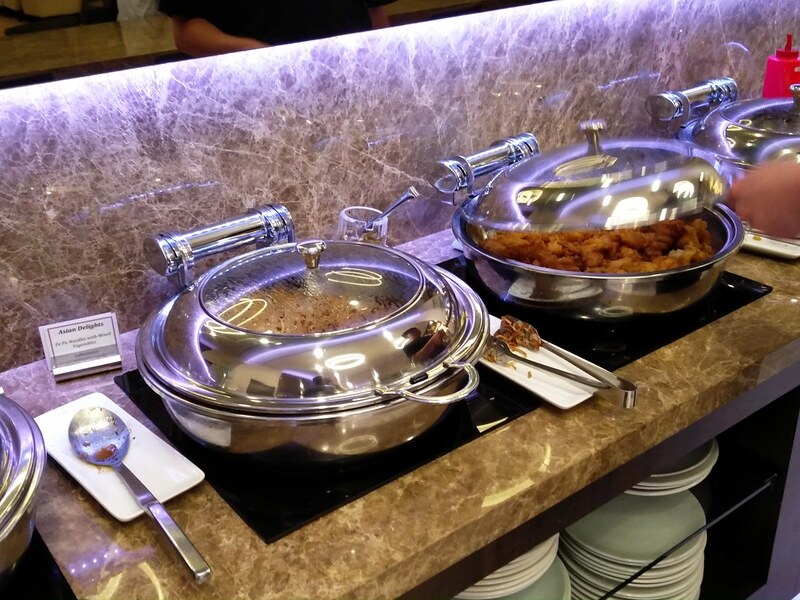 Being a foodie nation, it is only right that the buffet counter is actually placed right by the entrance. In fact it was the first thing I spotted entering the lounge. There is a long communal table beside the buffet area for dining. 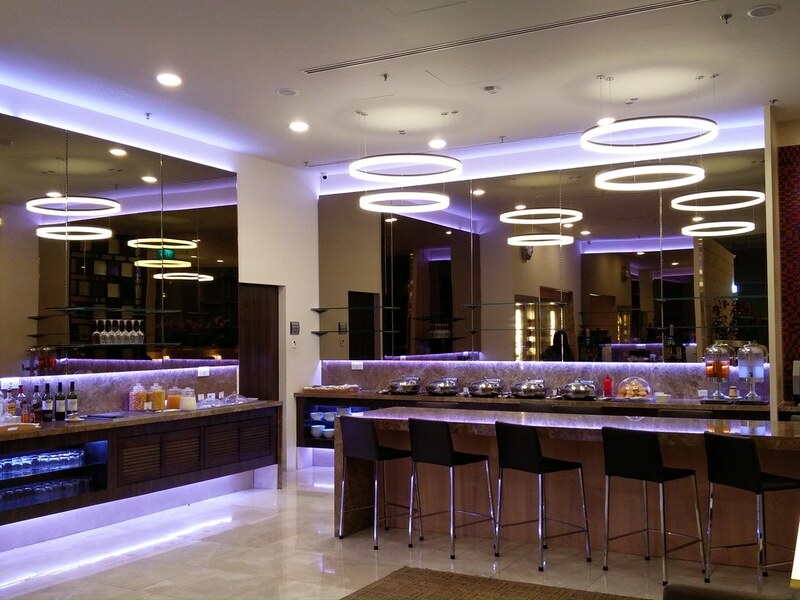 Though it is also possible to bring food to the lounge area as there are side tables beside the armchairs to place the dishes. The buffet was actually half decent as there was several warm food options even so late at night (around 10:30pm). 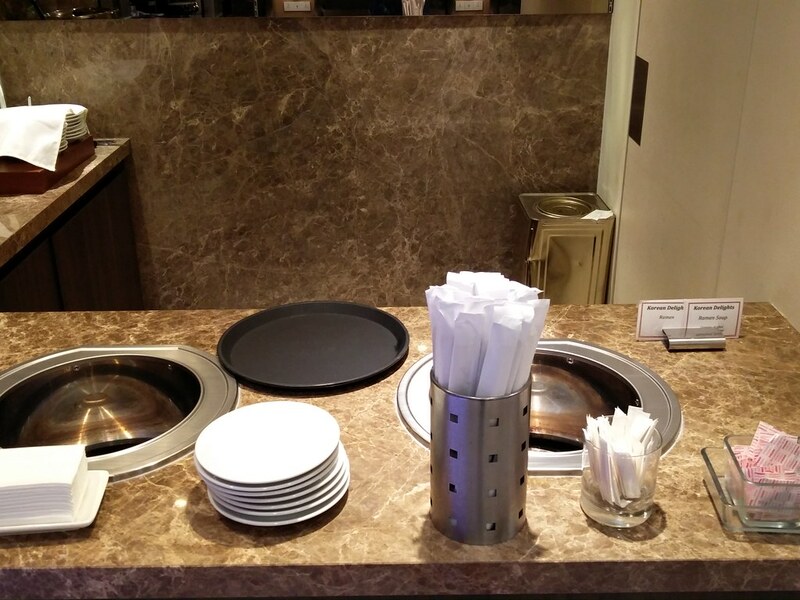 One of the options for that night includes a Japanese dish selection, which I guess are for Japanese guests. There are also fried noodles and fried rice. 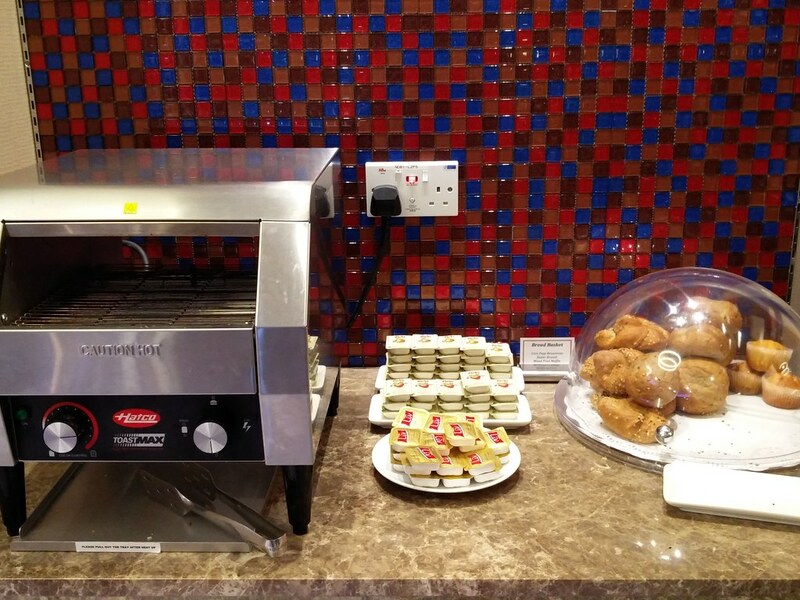 Another corner of the counter, guests can grab some muffins or make their own toast. There also seems to be a made-to-order noodle station but it was no longer operational this late at night. 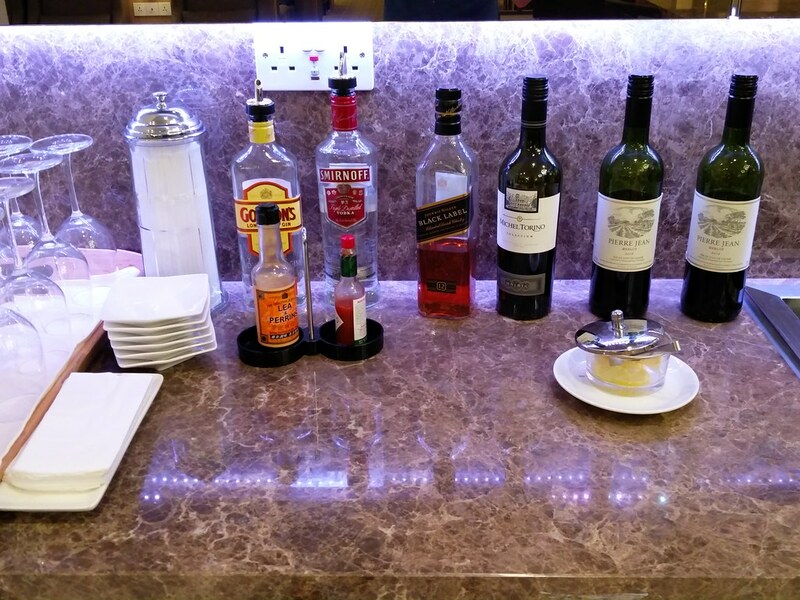 On the beverage side of the counter, there are a couple of complimentary wines and liquors provided. 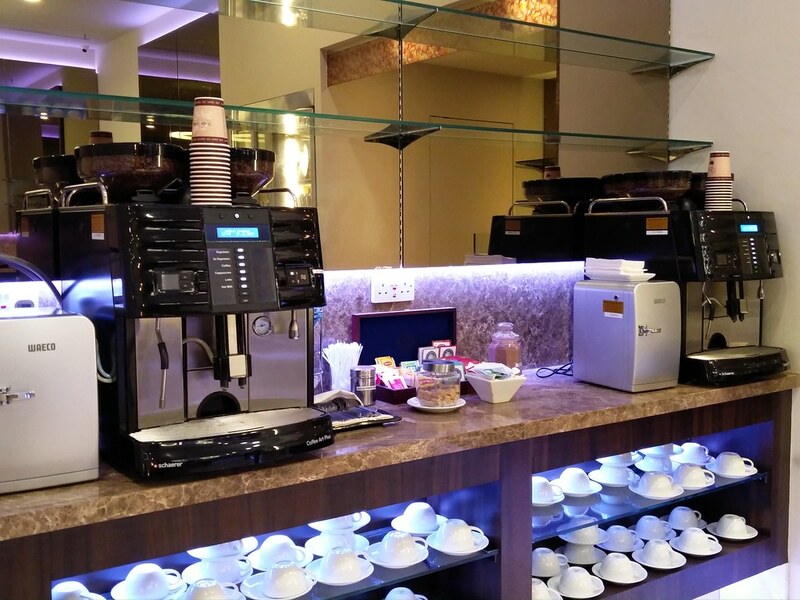 The lounge is also equipped with 2 espresso machines so guests need not wait long to make their own cup of coffee. 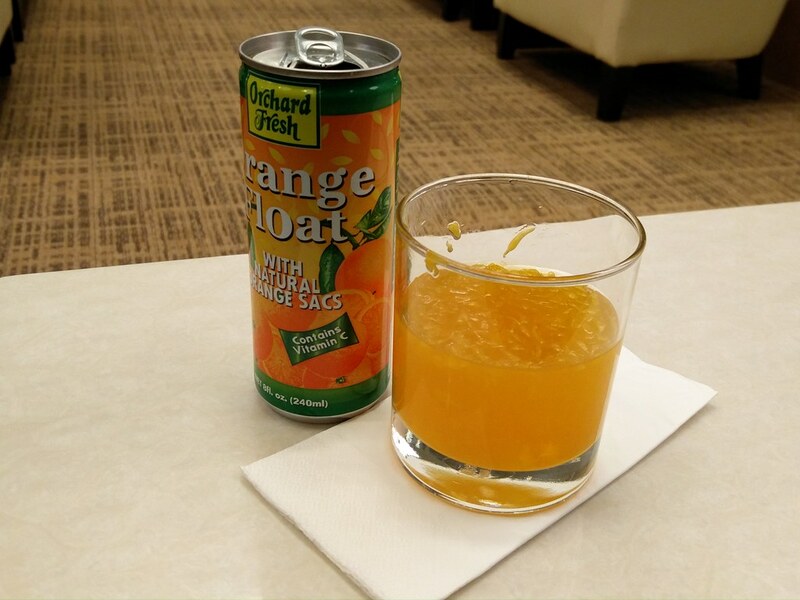 Soft drinks and canned juices are also available from the fridge as I got myself a can of orange juice while I sit down at the lounge for some reading. Since the airport has pretty good free wifi, there was no need for me to obtain the wifi from the lounge. For guests who do not have cell phone reception, I believe they can obtain a wifi access code from the reception. Changi Airport provides free wifi by getting a code from the information desk or requesting a code to be sent to your phone via SMS. For the short one hour and a bit more I was inside the lounge, it offered a nice place to read and get some beverages. During the day, this lounge would provide adequate food for a nice meal as well. Though, if you do not need access to this lounge, there is really no need to go all the way for access. Perhaps if it was in the day, I might just walk around Terminal 3 and spot the Singapore Airlines’ A380s from the viewing area at the central atrium.